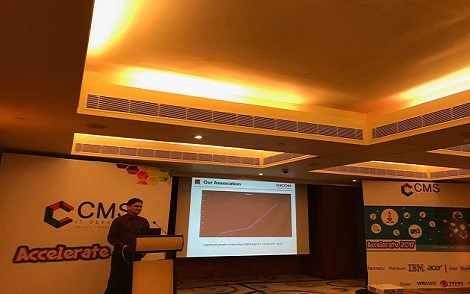 As one of India’s top IT services firms, CMS IT services has support infrastructure spread across 30 branches and 220 direct support locations in India. CMS provides complete solutions to large corporations across all sectors, including banking, insurance, retail, telecom and manufacturing. CMS IT Services (A Blackstone Portfolio Company) provides new, cost effective and cutting edge IT infrastructure solutions that are reliable, resilient and responsive. We have extensive experience in managing complex IT implementation projects and integration of emerging technologies in a dynamic environment.